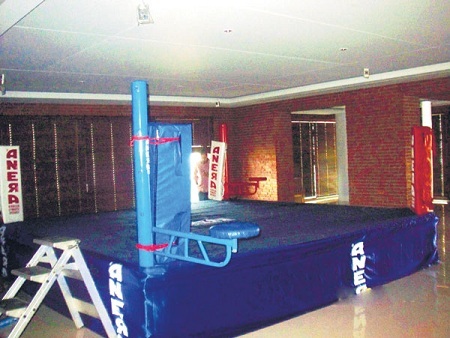 Shahrukh Khan’s gym at Mannat. The gym is in the 6 storey building behind SRK’s bungalow (“Mannat’). Shah Rukh Khan’s children, Arjun and Suhana, are national level martial art sports champs.